What Does The Best Bond Cleaning In Coorparoo Cover? Finding and selecting reliable house cleaning in Coorparoo is not easy. The most common questions we get asked by people like yourself have been collated below to assist you in making a smart decision. 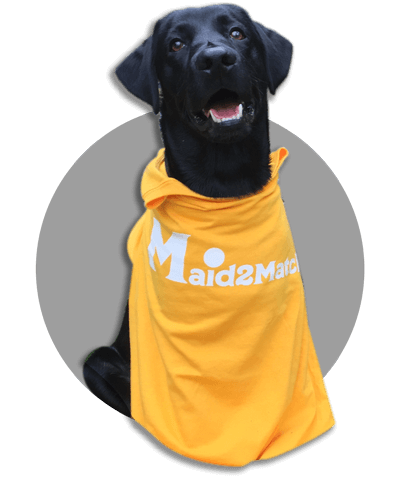 WHY ARE MAID2MATCH COORPAROO’S BEST AT VACATE CLEANING? The truth is great bond cleaners possess a different skill set than regular house cleaners and therefore requires specific experience, dedication, and a first-class cleaning checklist. At Maid2Match, we personally vet all our cleaners, after having them complete a three-part application form. We provide extensive support and have crafted the most effective bond cleaning checklist you’ll find. Our team is the go-to for end of lease house cleaning. In the north-west part of Brisbane, Coorparoo is a suburb situated 4 kilometres away from the city centre. Its name comes from the indigenous word to Norman Creek, and it’s something that depicts the swarming of mosquitoes to the area. Originally a farming area, Coorparoo developed rapidly after the land boom. This meant more schools being built, public transport being opened, and new roads emerging. The Stanley Street Bridge and Stanley Bridge Estate increased the popularity of this suburb. There are lots of wonderful parks in Coorparoo, like Wembley Park, Majestic Park, or Leicester Street Park. These provide great picnic opportunities, as well as wonderful alleys and playgrounds for children. New constructions have been finished in the area recently, with the new residential towers built at the junction of Old Cleveland Road and Cavendish Road. The Coorparoo Square boasts plenty of commercial developments at the lower floors of these buildings, including coffee shops, supermarkets, specialty retailers, and a Dendy cinema. There are some historical landmarks you can visit here if you’re interested in heritage-listed buildings. The most important are the Spanish Mission Revival houses on Cavendish Road, Barston Place (1880) on Norfolk Street, and the Restored Tram Post.